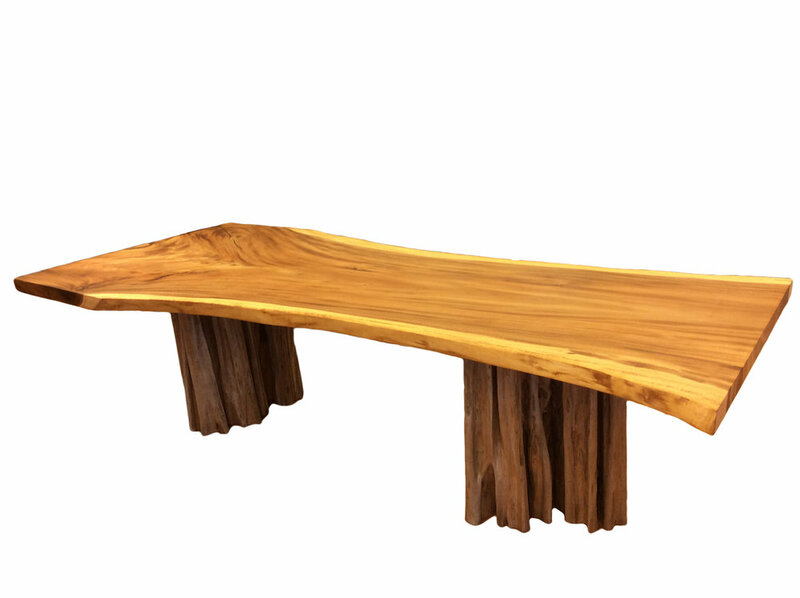 Customizable Live Edge Slab Furniture — almm co.
With complete control over wood species, size, finish, and leg design, we can assemble a beautiful live edge table to your exact specifications. 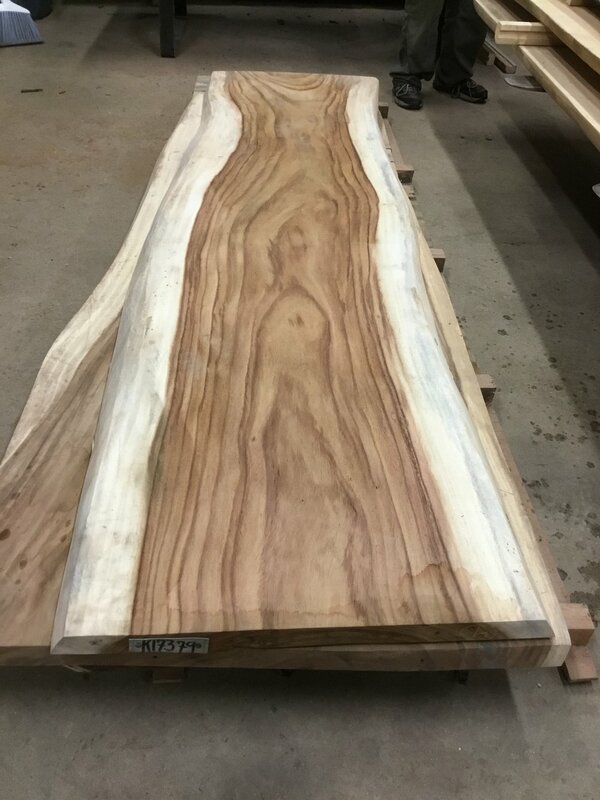 All of our slabs are properly cared for from the forest to our showroom so that the final tables are of the highest quality. These unique and gorgeous slabs add a captivating centerpiece to any dining, kitchen, or office space. With a wide range of finishes and leg designs, you can customize the ideal live edge surface to fit your home. Suar, Darina, Oak, Golden Acacia, Purple Heart, and many more! 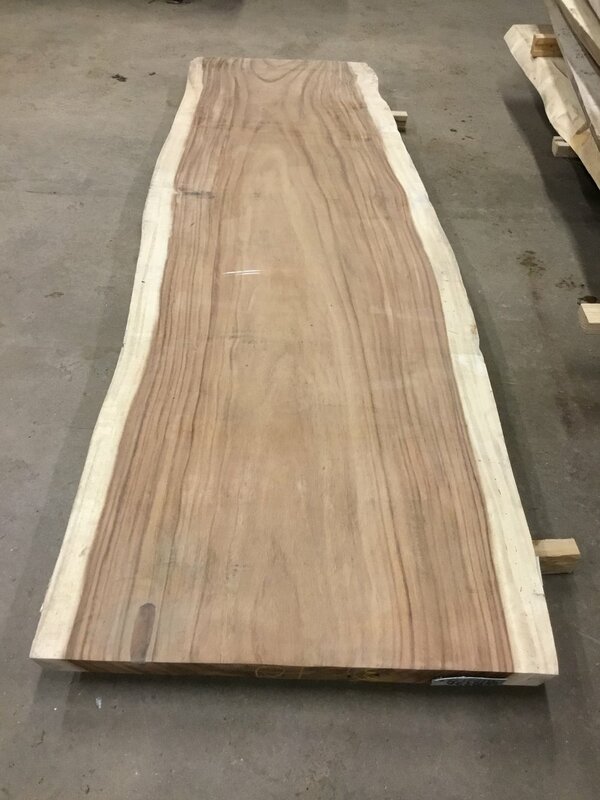 If we don't have exactly the slab you're looking for in stock, we can order it for you. We have leg options to meet any need, from chic, powder-coated steel to natural wooden pedestals. 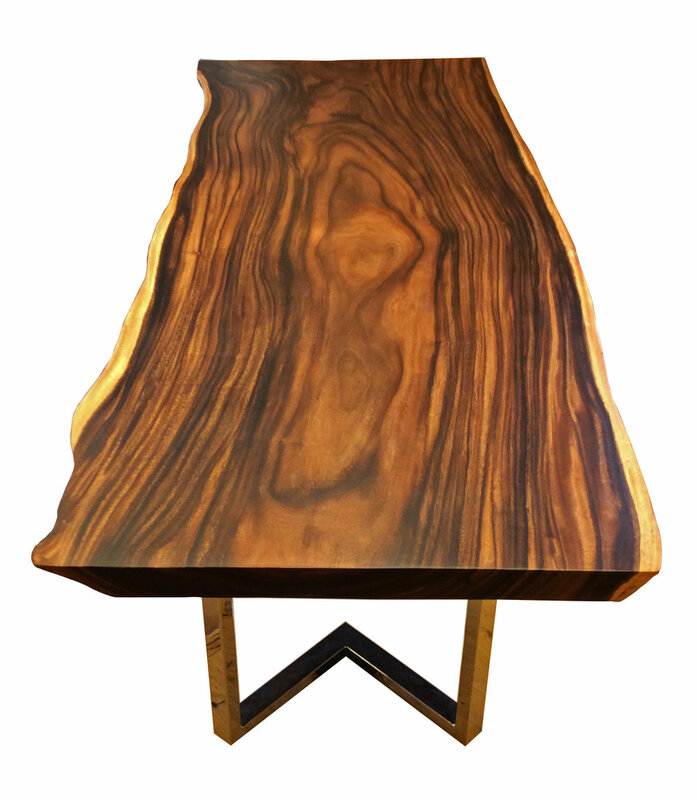 Whether you are looking for a glossy table to spread the light or a matte finish to emphasize the color palette, we can help you choose the right finish to highlight the natural grain and beauty of your new table.